Since 2000, SVRTC’s Senior Technology Engineer, Bill Wilson, has provided consulting, programming sessions, and traveled to divisions and competitions for FIRST Robotics (For Inspiration and Recognition of Science and Technology) Program events. FIRST Robotics Program is an international non-profit mentoring organization that promotes a vision for students to become leaders in science and technology. 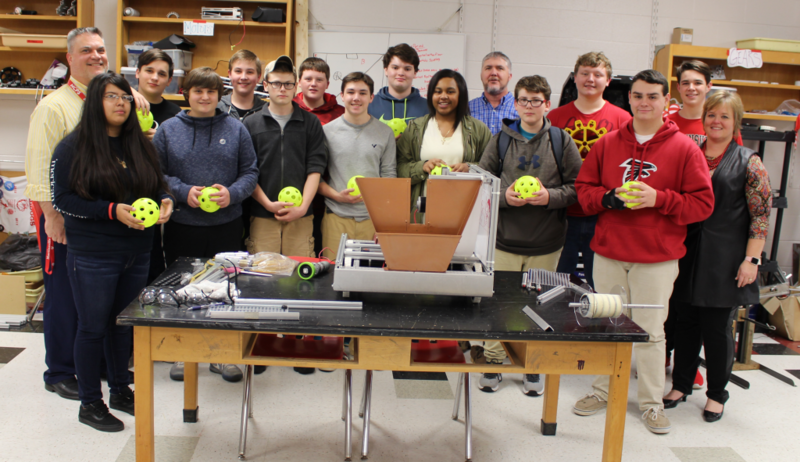 Since 2015, SVRTC has partnered with Mid-Atlantic Broadband Corporation (MBC) to support robotics in southside Virginia. Through this partnership, MBC has been able to establish funding for new SVRTC teams and helped form the Southern Virginia Robotics (SOVAR). SOVAR is an alliance of FIRST robotics teams across Southern Virginia. The goals of the alliance are to share resources, build camaraderie, and encourage the growth of K-12 robotics programs in our region. Details regarding SVRTC’s partnership and mentoring support for the current FIRST Robotics Program teams can be found on the SOVAR website. Pictures of SVRTC’s support for FIRST Robotics in southside Virginia can be found in, Robotics Gallery.